This updated version of the traditional keffiyeh scarf by Beirut-based architect Salim al-Kadi has been designed "for our contemporary landscape" (+ slideshow). The K29 Keffiyeh 001 is created from para-aramid synthetic fibre – otherwise known as Kevlar – which is used in body armour like bulletproof vests to help guard the wearer against ballistics and other weapons. The architect smuggled a piece of the material into Lebanon, where the traditional crisscross pattern was hand-embroidered by a woman living in Ain al-Hilweh – a Palestinian refugee camp. "By wrapping it around one's head, the weave's performance is increased through the layering of material and multi-directionality of the weave," said al-Kadi, who has worked on several architecture projects in Beirut. Al-Kadi is founding partner of Beirut firm APractice Studio. He also co-founded the BAO architecture firm earlier this year, with the K29 headscarf completed as one of its first projects. The gender-neutral keffiyeh has traditionally been worn throughout the Middle East, where it provides protection from harsh sun and sand. 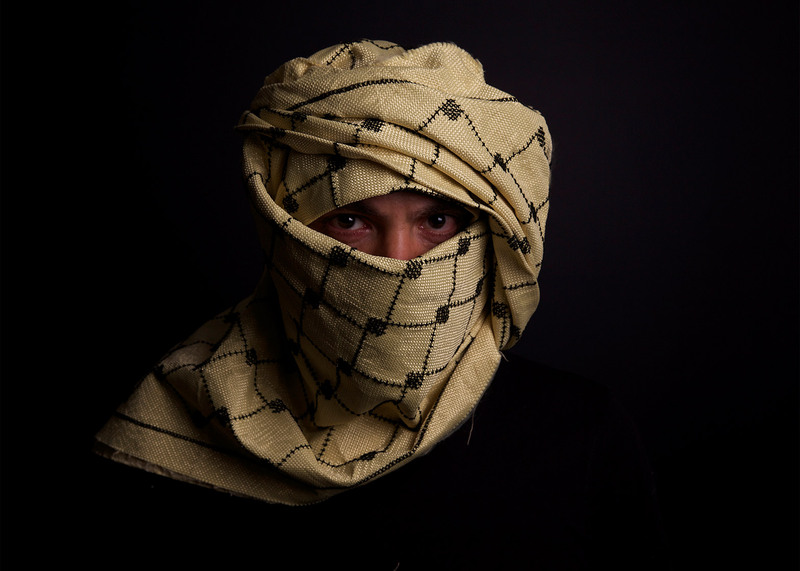 There are several different ways of wrapping and wearing the square garment, which has been a symbol for Arab resistance movements, including the Palestinian Intifadas. The keffiyeh also enjoyed a period of popularity in western and Japanese fashion in the 2000s, during which time it was stocked at the likes of Topshop and Urban Outfitters. "[The K29 Keffiyeh 001] acquires a familiar symbolism upon the battlefield," Al-Kadi said. "It is a keffiyeh for our contemporary landscape." Al-Kadi's scarf made its debut during Beirut Design Week, where it was displayed alongside other work in the city's Geek Express gallery. Kevlar, which was developed in the 1960s, has been used for a range of applications, including sportswear and musical instruments. Several designers have sought to make the most of its strength. Israeli Hila Raam incorporated it into a rucksack with a built-in protective hood, while shoe startup Shiftwear used it to coat the soles of its trainers.